>>> Ciao Luigi, d'accordo con te... anni pieni di speranze. >>> e' bellissima ho 55 anni ,ma no la dimentico,fa sognare. 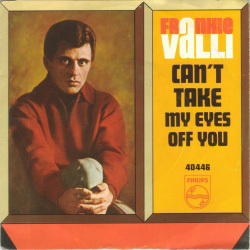 non posso staccarti gli occhi di dosso..."
Can't Take My Eyes Off You, written by Bob Crewe and Bob Gaudio, was a 1967 single by Frankie Valli. The song was among Valli's biggest hits, reaching #2 on the Billboard Hot 100 and earning a gold record. It was one of several hits that Valli recorded with the participation of his vocal group, The Four Seasons, and his biggest "solo" hit until he hit #1 in 1974 with "My Eyes Adored You". The song has been covered by a variety of artists over the years. A version by Andy Williams made it to #5 on the UK singles chart in 1968. In 1991, the Pet Shop Boys used part of the song on their double A-side single "Where the Streets Have No Name (I Can't Take My Eyes Off You)/How Can You Expect to Be Taken Seriously? ", which reached the top five in the U.K. (In the U.S., both sides of the single were released as separate singles and both charted, with "How Can You Expect to be Taken Seriously?" at #93 and the "Where The Streets Have No Name/I Can't Take My Eyes Off You" medley at #72. Other renditions of the song to have charted in the U.S. included versions by The Lettermen (#7 in 1968, in a medley with "Goin' Out Of My Head"), Nancy Wilson (#52 in 1969), Maureen McGovern (#27 on the Adult Contemporary chart in 1979), Boys Town Gang (#1 in the Netherlands in 1982) and Lauryn Hill (#35 on the Hot 100 Airplay chart in 1998). Other musicians who covered the song include Frank Sinatra, Vikki Carr, Kiki Dee, Bobby Darin, Save Ferris, Bad Manners, David Osborne, Andy Williams, Cardin, Gloria Gaynor, Shirley Bassey, The Temptations, The Killers, Jimmy Somerville, Eldissa, Diana Ross & the Supremes, Morten Harket of a-ha, Percy Faith, Manic Street Preachers, Sheena Easton, Ringo Shiina, Suburban Legends (live), Prudence Liew, Sowelu, Tommy february6, Ayumi Hamasaki (live), Sakurai Sho of Arashi (live),Nob Summer, Zard, JILS, Tingsek, Next Phaze, Efi Thodi, Barry Manilow, Engelbert Humperdinck, Kim Ross (though billed under just "Ross"), The Spinto Band (live),Muse as part of Radio 1's Live Weekend and as a b-side, The Killers(live),and a 2 tone version by Bad Manners on their album Can Can. Experimental progressive rock guitarrist Bumblefoot recorded a heavy metal version of the song. 2007 this Song was couvered by Soccx. In Germany this song was used for dancing at the ADTV-Worlddance-Day 2007, ChaChaCha-Simultan-Event. 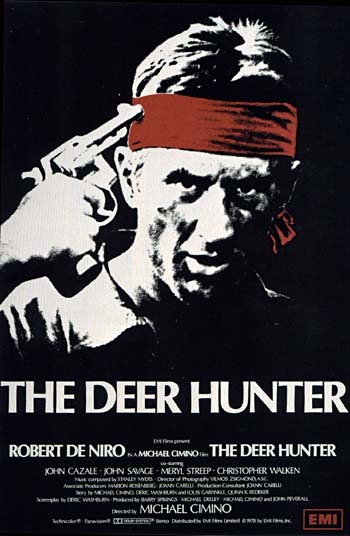 The song has featured in several films, including The Deer Hunter and Conspiracy Theory, where it appears along with Lauryn Hill's cover of the song. Julia Roberts sings along to the song while Mel Gibson watches her through binoculars from a taxi cab. He also sings along to it. This song was also sung by Heath Ledger in 10 Things I Hate About You and Michelle Pfeiffer in The Fabulous Baker Boys. In the 2002 live-action Scooby-Doo film, Velma, played by Linda Cardellini, sings this song with uncharacteristic fervor. It also appears in the Swedish TV-commercial for Tele2, performed by J-Lo. Also, the song is in the end of one of the Hidden Palms show via the CW. Song is also included in the film Son of The Mask in a scene where Jamie Kennedy was in club dancing. In the Filipino film You Are The One and You Got Me, a version of the song is performed by Filipino actor Sam Milby. non posso staccarti gli occhi di dosso. ti voglio stringere così forte. non c'è nient'altro in confronto. non si posson dire altre parole. ti prego, fammi sapere che è vero. e fammi amarti, amore mio. piccolina, ora che ti ho trovata, resta con me. tää kyllä liikaa jo on. ja nyt hän yksin on mun. ja aion niellä ne kyllä vastakin. Ne on vain tiellä, hartaana kun tuijotan. vaan yhä sinun muistan silmät vielä. Ciao Luigi, d'accordo con te... anni pieni di speranze. 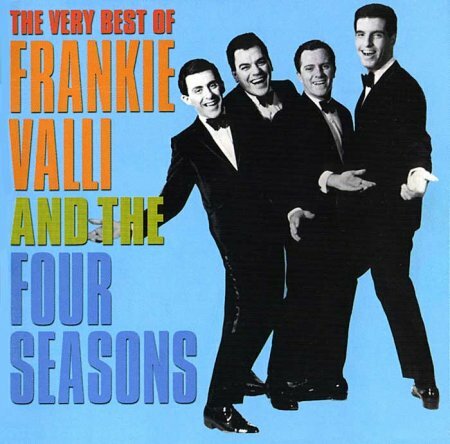 Se sapessi suonare, la prima cover che tenterei di fare sarebbe proprio di questa bellissima canzone di Francis Stephen Castelluccio, in arte Frankie Valli, e dei suoi The Four Seasons... Visto che non so suonare neppure il piffero, lascio ai Muse il compito. Eccoti/vi la loro versione di "Can't Take My Eyes Off You". E come diceva il berretto verde reduce dal Vietnam, quello che appare per una attimo al bancone del bar durante la festa di matrimonio di John Savage: "In culo!"... 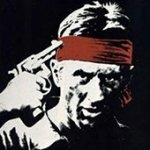 In culo sì, ma alla guerra e ai suoi profeti. grazie Staff..siete i migliori..davvero grazie mille..vi adoro...ah..io sono tra quelli che masticano poko l'inglese..kisses..
e' bellissima ho 55 anni ,ma no la dimentico,fa sognare. 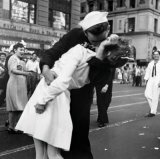 Vi siete dimenticati una preposizione, la frase completa in lingua inglese è: Can't take my eyes off of you. La prima preposizione "off" è retta dal verbo to take,ed esprime insieme al verbo il significato di "togliere", la seconda "of" significa "da" in lingua italiana. Non è un errore di poco conto. Comunque non importa, scusate per il pistolotto. Lone Ranger, hai ragione ma quando canta mi pare che dica chiaramente "off you", altrimenti mica torna la metrica... no? Direi proprio di no... Ho confrontato all'ascolto diverse versioni, quella originale, quella dei Muse, quella di Lauryn Hill & The Fugees, quella dei Manic Street Preachers, quella di Diana Ross, ma mi pare che tutti pronuncino "of iù" o "ov iù" e mai "of ov iù"... In effetti qualche volta il titolo compare con l'"off of", ma se per questo la canzone viene spesso attribuita erroneamente a Al Green, Bobby Darin o Frank Sinatra... In ogni caso "off of" lo troverei davvero brutto e ridondante per una lingua come l'inglese... e poi c'è il dato insuperabile della copertina del singolo di Frankie Valli nel 1967. Mi dispiace per Gianni ma qui non c'è "of" che tenga!